Robyn Bors Veraart ’93 has always strived for a higher standard of consciousness even before she founded Provision, a school for sustainable living in a small village at the foothills of the Carpathians. After majoring in music at Reed, Robyn earned a master’s in music therapy at Naropa Institute, adding meditation to her repertoire and pursing an interest in Eastern-European folk music (her father is “a full-blooded Hungarian”). She taught meditation and yoga in prisons for a time, then traveled with her Dutch husband, Lars, through Africa and Europe, where she saw the potential for a broader application of her consciousness practice, becoming intrigued with the concept of eco-villages they encountered everywhere from France to Turkey. Three years ago Robyn and Lars bought a home in the Transylvanian village of Alunisu. “Think about America during The Great Depression,” says Robyn. “That is where Romania is now.” Peasant culture is still viable in the village; each house has its own barn, outbuildings, and orchard, not to mention a passel of livestock; there is a communal flock of sheep shared by the community. Robyn was struck by the peaceful peasant lifestyle and came to believe that others could benefit from its ethic of sustainable self-reliance. With the blessing of the local priest (who makes cheese, bread, and wine for his family and neighbors), Robyn and Lars launched Provision with the goal of teaching traditional skills, self-sufficient living, and simplicity. Romania is just coming onto the map as a tourist destination, and they aim to attract everyone from “smallholding enthusiasts” to agri/eco-tourists to those interested in Balkan culture. The inaugural session of Provision is set for summer 2012. 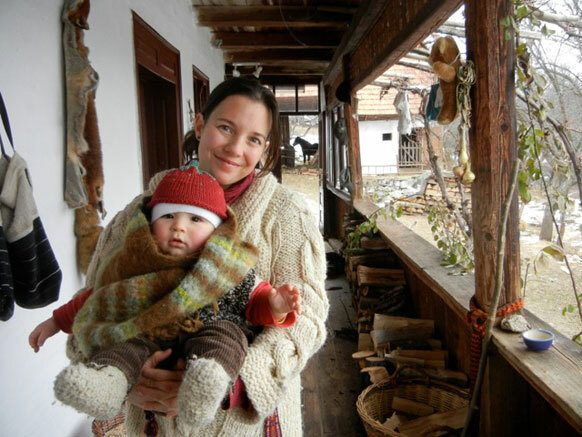 Read more about self-sufficient living in Transylvania. Do you know of a Reed-related destination in a far-flung locale? A café in Trenton? A gallery in Chicago? A disco in Mongolia? 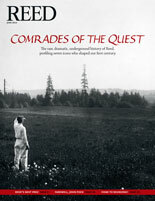 Tell us about it at reed.magazine@reed.edu. Fabergé eggs—exquisite but useless. The Model T Ford—utterly utilitarian and mass-produced. They both come from the era of Reed’s founding, and they might also represent the era’s Scylla and Charybdis, according to President Colin Diver in his comments to alumni, parents, and friends at the Reed on the Road chapter events this spring that celebrated the college’s centennial and also doubled as his farewell tour. The month-long road show began in Seattle and ended in Boston, with interim stops in Los Angeles, Chicago, Washington, D.C., and New York City. Attendance was strong in every city, averaging more than 100. The format of the event featured comments from Diver, an entertaining excerpt of the recent OPB documentary on the college, cleverly titled Reed, and alumni speakers who wrote entries for the recent collection Thinking Reed. Each evening concluded with a tribute to Colin (and Joan) and the significant accomplishments the college has made during his presidency. Beyond any metrics or milestones, most moving was the frequent observation that his daily commitment to improving life for students and protecting the essence of the place was evident even to the casual observer. The weekend retreat at Camp Westwind for alumni and their families, sponsored by the Portland alumni chapter, will be October 19–21, 2012. Join alumni from a variety of eras and swap Olde Reed stories and songs in a beautiful forested setting on the Oregon coast. A limited number of reduced-rate spaces are available for kitchen and cleaning crew people. Details and registration here.